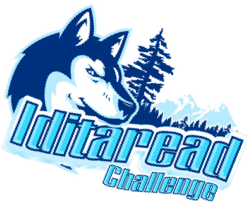 Our first reading challenge in Shapleigh’s new “I Read, I Succeed” reading program, transports students to Alaska to race alongside the dogs and their mushers on the famed Iditarod dog-sled course. Our Kittery based reading race-course mirrors the Alaskan course and students will earn 1 mile for every 1 minute of reading. The course is 998 miles long. Students have from Monday, March 4 – Thursday, April 4 to complete the 998 mile race. Students will log their daily reading time on bookmarks that will be given to them (http://bit.ly/ShapRead). Bookmarks will also be available on the Shapleigh & PTA websites if you need to print more. On each “DAY 4” student’s will log their tallied reading in a database created by Shapleigh teachers. This will happen during their reading time. Incentives! When students reach a benchmark town (see map below) they will be awarded a raffle ticket for a NOOK to be drawn at the end of the race. For every 5 towns they reach, they will be awarded an extra bonus prize. All students that reach the finish line in Nome, Alaska will be invited to an ice-cream celebration! The Idita-Read Challenge is the first challenge in the new school wide “I Read, I Succeed” reading initiative that is replacing “I Read 100 Books”. Shapleigh School and the Kittery PTA have teamed up to offer a comprehensive program for our families that we hope will encourage more at-home reading. The individual challenges (including Idita-Read) will run 4-8 weeks each giving students a new start with the beginning of each new challenge. The challenges are designed to push our kids to read more while providing them with an attainable goal. By breaking up the program into several smaller challenges over the course of the school year, we hope to keep students excited and engaged. As always, audiobooks, newspapers, magazines, comics, shared reading and (of course!) all books will count toward this program.